Mix 1 teaspoon of NuGrains Oat Fiber into your food or beverage. Substitute 3 tablespoons NuGrains Oat Fiber for every 8 servings per recipe. For example if recipe yields 24 cookies and serving size is 3 cookies, than substitute 3 tablespoons for flour in your recipe. NuGrains Oat Fiber is the perfect ingredient for low-carb baking. 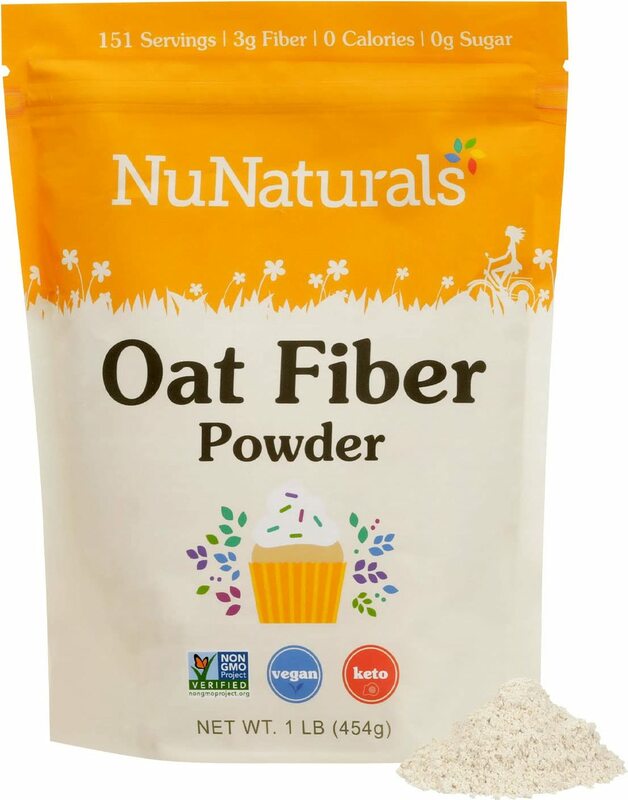 NuGrains Oat Fiber contains zero calories per serving because it is almost entirely insoluble fiber. Getting enough fiber into your daily diet is difficult, but not anymore! You can add NuGrains Oat Fiber to your favorite recipes, smoothies, or sprinkle on foods for a fiber boost.